Exhaust TEC’ is a device incorporated in exhaust system of ‘Platina DTS-i’ engine. ‘TEC’ stands for ‘Torque Expansion Chamber’. 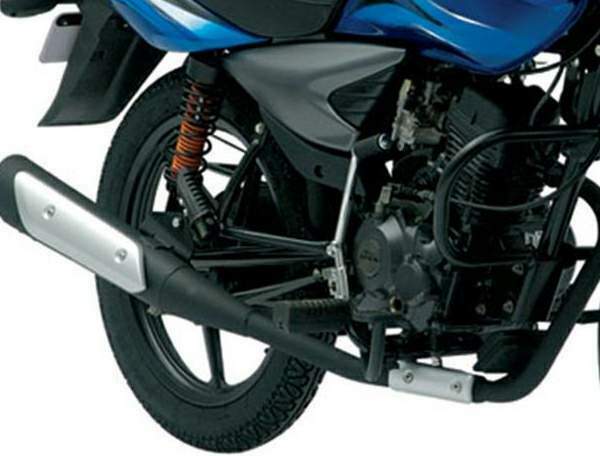 This world-first technology developed by Bajaj Auto improves the ‘Scavenging’ process. The exhaust system of Wave has this revolutionary feature incorporated, which drastically improves engine torque at low revs without compromising anything at mid or high engine revs. It has been extensively optimised to get the maximum possible performance out of the engine. The changes in effor required to open the throttle can also be felt very sensitively. This forms the basis for the Ride Control Switch. 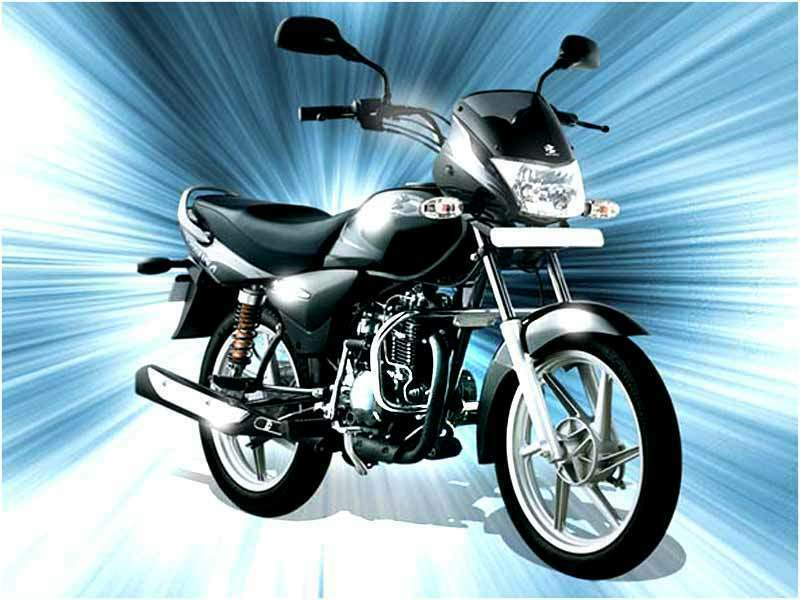 Premium rugged looks, Contemporary graphics and stylish alloy wheels are the main highlights of Platina 125’s looks. 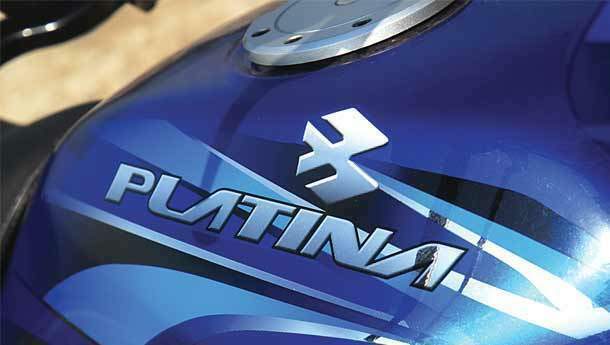 The Platina 100 when first launched in platinum silver color with silver chrome graphics was a huge hit. But here all black styling replaces this theme. Black grab rails, matt finished black silencer with chrome finished foot rest looks good on this bike. The only disappointing thing we noticed was that bike had given away its clear lens indicators and opted for orange ones. Also a new simpler looking fuel lid replaces old but somewhat more stylish fuel lid. Not living up to expectations we had. Sadly Platina 125 is pretty much disappointing in this segment. There’s only a marginal increase in power from its older version or we say there’s a good chance that you would mistake this vehicle to be a 100cc one. The bike doesn’t feels planted at high speeds(70-80kmph) and further more you will have to settle with its ‘dull’ cornering abilities thanks to its not so good ‘Birla Roadmax’ tyres which can leave you craving for more grip on road. It has an upright seating position in line with other commuter bikes. Moreover unlike its 1000cc version it doesn’t succeed in giving you a plush ride without sacrificing its handling. Another thing we noticed while test riding it was it looks plain and too much stressful riding it without Disc brakes. Platina 125 misses Disc brakes badly. There are no trip meters or tachometers on this bike. A deliberate attempt to keep its cost minimized. But it even with all those, it serves well the purpose of being a commuter bike. It has wide seats and is equipped with 125mm telescopic front and SNS (spring and spring) rear suspension. Handling is not that good when compared with other 125cc bikes. An electric start option is a great relief. Other prominent feature of this bike includes Anti friction bushes in front fork which improves suspension life and an auto choke. The natural air cooled 124.6ccc engine is capable of giving you 8.5ps of power. It has a 5 speed gearbox (all down). 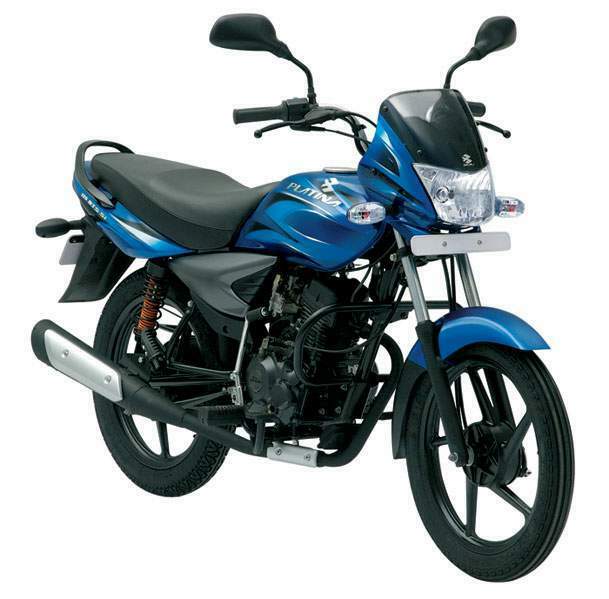 It features a longer wheelbase and wider rear tyre than its 100cc version. The bike has a 0.5litre larger reserve capacity which doesn’t matter much because the fuel tanks capacity is still kept same at 13litres.However Platina 1265 weighs 3kgs lighter than its old version. Bright headlamps, Ride control switch along with a 12 V 5Ah Maintenance free battery are sure to give you some peace of mind. The ride control switch helps the rider to ride in ‘Fuel Economy zone’ which is also indicated in the fuel gauge meter. Besides that a low fuel indicator is also provided. We didn’t doubt its claimed top speed of 95kmph but we did try to find out its efficiency and were pretty satisfied with its mileage. It returned about 65kmpl in aggressive city riding conditions. There’s a good chance for that figure to improve if you ride it more sensibly.